A wedding is almost like a low key fashion parades where you have the opportunity to glam up as much as you want and look like a million bucks. If you choose to wear a maxi abaya then here are our tips to style it so you can turn heads the next time you get an invitation. This is one of the most unique and stylish ways to wear an abaya. 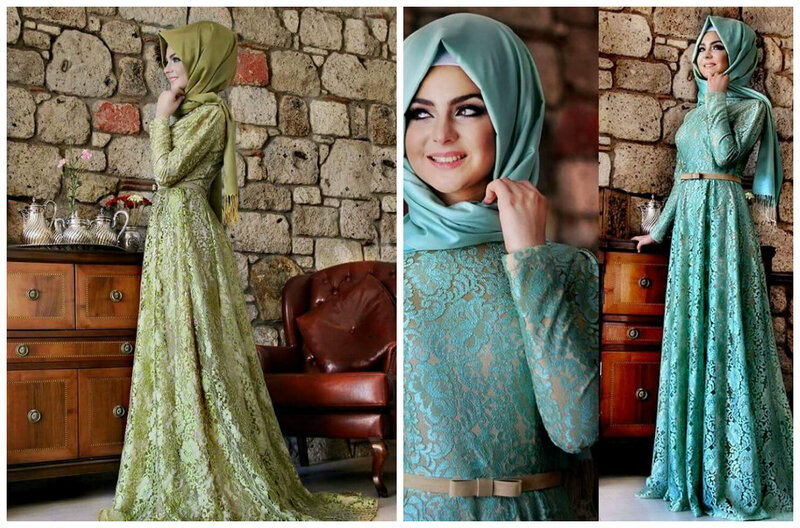 Choose an abaya in a rich fabric like silk, satin or velvet with exquisite embellishments, embroidery or lace overlay. Pair it with a tailored trouser or palazzo in the same fabric and colour or a complimentary colour. Wear a silk camisole or longer tunic under your abaya and tuck it inside your pants for clean and beautiful silhouette. For a special occasion like a wedding, drape your hijab in a fashion that it cascades around your face and frames it beautifully. Use an embellished broach or pin to secure it in place which also adds a little bling. If you want to wear some gorgeous earrings then drape your hijab in a way that it doesn’t cover your ears completely. Pick some bold and beautiful earrings which complement your face shape and outfit. To give your flowing maxi abaya a beautiful shape that will accentuate your beauty and figure in a modest way, use an embellished belt to cinch it at your waist. A statement belt can elevate your look in a jiffy. Other than that, wear nice watch in gold or silver which might have a little embellishment too. Don’t forget to carry a smart box clutch or a sleek bag which is in a complementary colour to your outfit. Make sure it is large enough to keep your belongings and a little bit of make-up items for emergency touch ups. Shoes are a very important aspect to your entire look. For a wedding, you can go for shoes with little crystals and studs on it for a glam look or you can the rest of your outfit glam and tone it down with your shoes by pairing it with classic leather stilettos in solid colours like black, tan or a colour that matches your outfit. When a beautiful hijab cascades around your face, a lot of attention is automatically attracted to your face. So make sure you have put on some make up to accentuate your beauty. Start with well moisturized skin, then blend a little bit of foundation to even out your skin tone. Rim your eyes with kohl and add a few coats of mascara to your lashes. Add a pretty lip colour of your choice. While you take care of your outfit and make up, don’t forget your body, apply a good lotion on your entire bodyso it looks hydrated and luminous. You can mix in a little bit of an illuminator with your lotion for an added glow. And do not forget to spritz some nice fragrance.